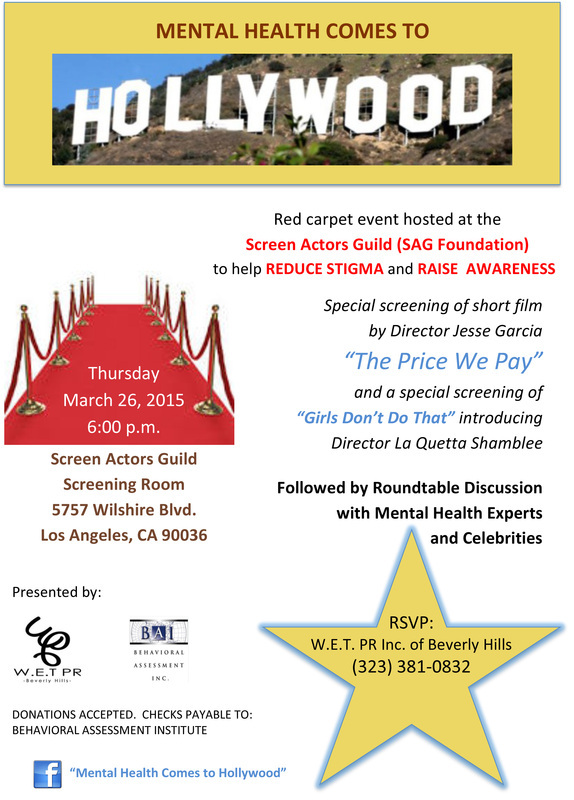 RSVP for public screening of "Girls Don't Do That," a film short produced by LaQuetta M. Shamblee, co-producer "Doc Ajay Johnson". Join us on Facebook for information on upcoming screenings. Thank all of you who joined us at the Pan African Film Festival in Los Angeles for the world premiere screening of the first short film by the MADCatfish Production Team. "Girl's Don't Do That" was included in the "Women's Shorts" category. Following the screening, co-stars, Savannah Lauth-Richardson and (jazz vocalist) Phyllis Battle, participated in a Q&A along with producers, "Doc" Ajay Johnson and LaQuetta M. Shamblee. "Girl's Don't Do That" - Starring Jazz Recording Artist, Ms. Phyllis Battle and introducing Savannah Lauth-Richardson. Additional screenings: Sat, Feb 7 @ 2:00p, Mon, Feb 9 @ 4:00p, Sat, Feb 14 @ 2:35p and Mon, Feb 16 @ 9:25p. Baldwin Hills Crenshaw Plaza 15 + Extreme Theatre, 4020 Marlton Ave., Los Angeles, CA 90008.